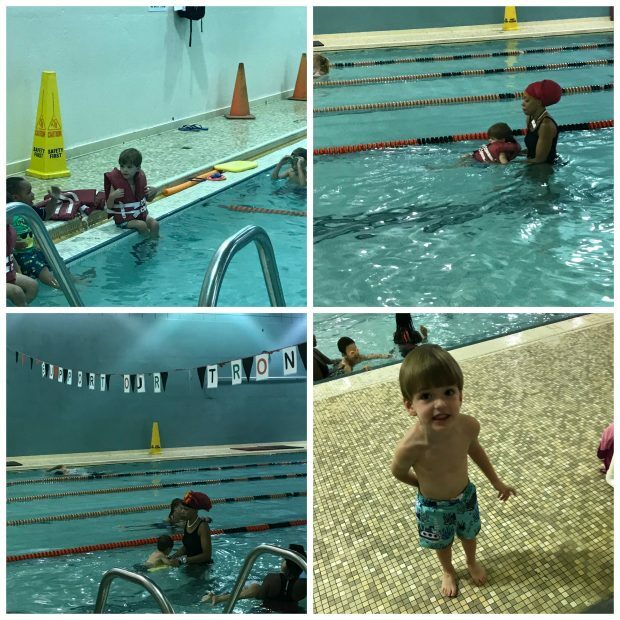 Sheffield loves playing in the water, so last year I contacted the Y to see what kind of classes they offer. I was really impressed with them – and they told me that I really should wait until he’s at least 3, because they retain that information better. So, this past summer we signed him up for the group lessons at the YMCA in Homewood. To get him excited about being in the pool and learning to swim, I got him a fun hooded towel with Paw Patrol on it. He was stoked. I was definitely more nervous than him. Once he saw the indoor pool, he got really excited. The classes ran for two weeks from Monday to Thursday and were about 30 minutes long – unless there was only one teacher available, and then it was closer to 45 minutes to an hour. There were between 5-7 kids each class. They taught the kids the basics – scoops and kicking and how to blow bubbles. They even tried to get them to go under water and to swim a foot or two from them to the ledge. Sheffield was great the first two days – no problems, no crying. He would wave over to me and seemed to be having a blast. For some reason on the third day, he lost it. 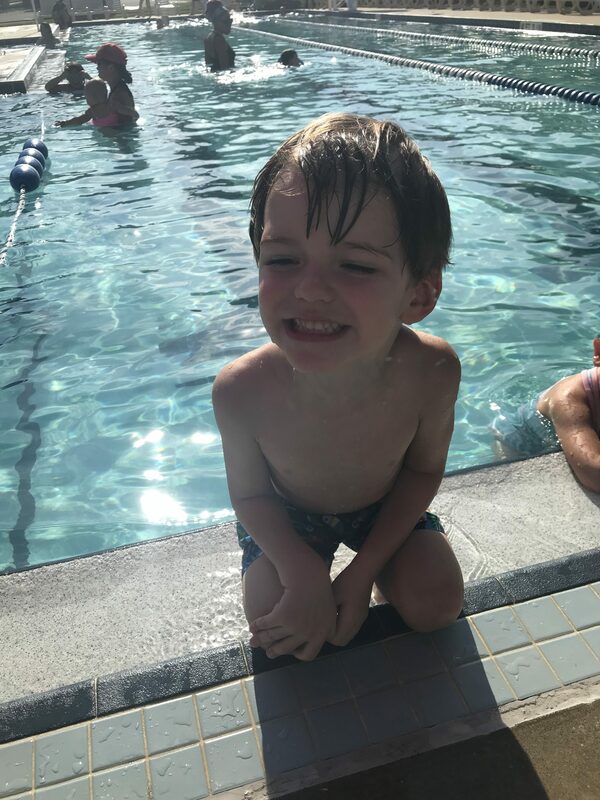 He would cry whenever they put him in the water – he didn’t want to go anywhere near the pool, and when the instructors came to get him from the ledge, he would freak out and start crying for me. We later figured out that he was deathly afraid of being put under water, and also that he hated the sensation of water in his ears. I took him for the rest of that week, and then B took him the next week. The first week, however, one of the classes was canceled due to inclement weather, so they did a make up class. The indoor pool was closed, and they held the class outdoors, and for whatever reason Sheffield was back to his day one/day 2 self. The make up class only had three kids in it, so the instructor was able to spend more one -on-one time with him. While I think the group lessons where a good jumping off point, I think we will try to do private lessons for him next year. The instructors at the Y in Homewood were amazing, and I think with a little more time to spend with just Sheffield, he’d be a swimming fool in no time. Oh my goodness, he looks so tiny in that bottom right picture in the collage! Like did he grow 5 feet this summer or something???? I am terrified for Zoe for swim lessons. Mainly since I cant swim myself, I feel a little hypocritical making her learn eventually. But I dont want her to end up like me!